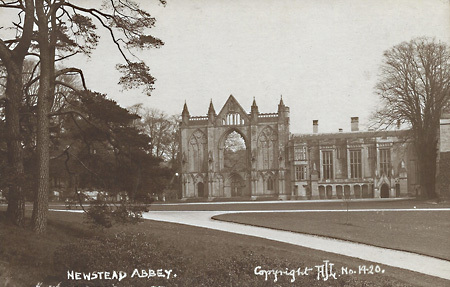 Newstead Abbey was formerly an Augustinian priory. 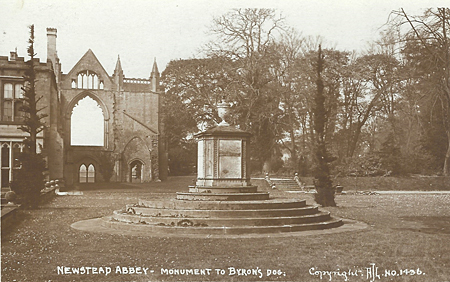 Following the Dissolution of the Monasteries it was converted to a domestic home and it is now best known as the ancestral home of Lord Byron. A memorial to Boatswain. November 30 1808. 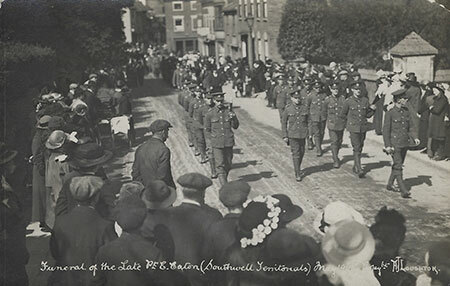 A transcript of the Inscription on the Monument to a Newfoundland Dog can be found on the external website. 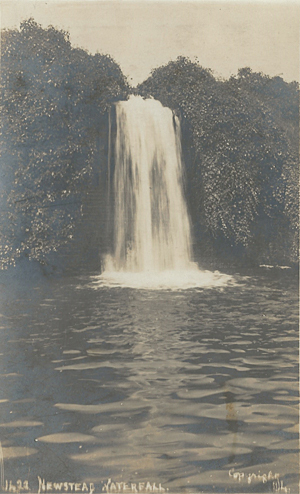 I'm not sure if this is the waterfall that you can walk behind or another one on the estate. 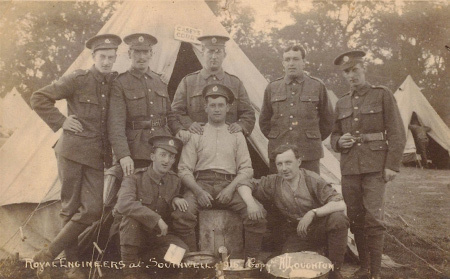 There's a hand written date on the back of this photograph June 18th 1925.